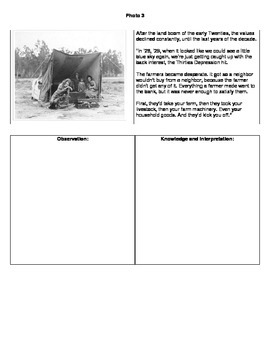 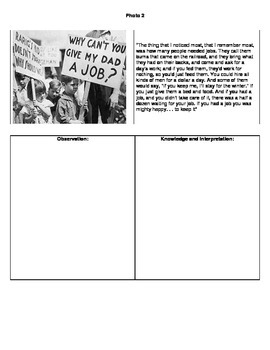 Resource includes famous images from the Great Depression along with selections from Studs Terkel's "Hard Times." 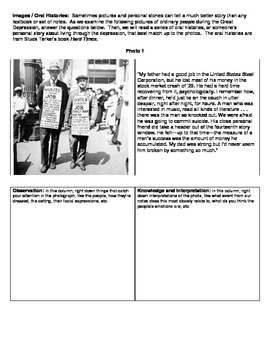 Students analyze the photos and primary sources. 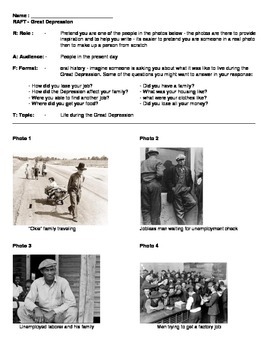 Resource culminates in a creative writing assignment where they pretend to be a person in one of four photographs.